The Rev. Prof. Timothy Jervis Gorringe is St Luke’s Professor of Theological Studies in the University of Exeter, England. 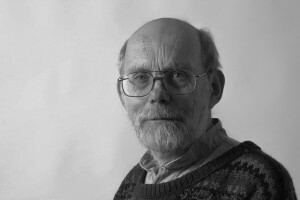 Born in 1946, Timothy Gorringe was educated at St Edmund Hall, Oxford (BA 1969, MPhil 1975) and Sarum Theological College (1969–72). He was ordained deacon in 1972 and priest in 1973 and served as Assistant Curate at Chapel Allerton (1972–75) and Oxford St Mary the Virgin with St Cross and St Peter (1976–78). From 1979 until 1986, he taught theology at Tamil Nadu Theological Seminary. He was Official Fellow, Chaplain, and Tutor in Theology at St John’s College, Oxford 1986–95, Reader in Contextual Theology at the University of St Andrews 1995–98, and became St Luke’s Professor of Theological Studies in the University of Exeter in 1998. His academic interests focus on the interrelations of theology, culture, art, social science, criminal justice, economics, and politics, as well as the theology of Karl Barth. He is a member of the Iona Community. His other interests include apiculture, poultry keeping, home winemaking, theatre, poetry, and political activism. His academic interests focus on the interrelation between theology, social science, art and politics. The author of over fifteen books, his most recent publications are The Common Good and the Global Emergency (CUP 2011) and Earthly Visions: Theology and the Challenges of Art (Yale 2011).